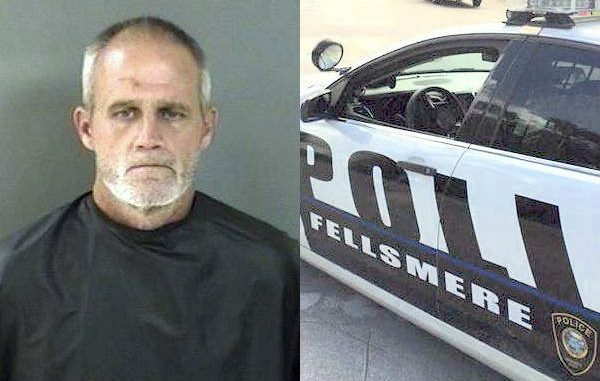 A Sebastian man was stopped for speeding and told a Fellsmere Police Officer that he hasn't had a driver's license in 20 years. FELLSMERE – Earlier this morning, an officer with the Fellsmere Police Department observed a gray 2015 Kia Soul traveling on County Road 512 with a speed of 70 mph in a posted 45 mph zone. “I activated my Stalker Dual Radar unit and received a speed of 71 mph,” the officer said. A traffic stop was made and the driver was identified as 48-year-old John Wesley Howard of Sebastian. “I asked John if he knows why I stopped him, he advised for his speed,” the officer said. “I informed John that I had him locked in at 71 mph in a posted 45 mph zone. The Fellsmere officer then requested Howard to provide him with a driver’s license, registration, and proof of insurance. “John stated, ‘Well sir that’s the problem, I don’t have a license, I haven’t for 20 years,” according to the report. The officer conducted a license check and learned that Howard’s license was revoked on 12/20/1990 with countless additional suspensions. “John stated that his most recent suspension is because he was arrested for driving on a suspended license,” the officer said. Howard was arrested and transported to the Indian River County Jail where he was charged with Driving While License Suspended. Also, Howard was issued a citation for speeding in a 45 mph zone. According to jail records, Howard was arrested by the Sebastian Police Department for driving on a suspended driver’s license in 2012. Howard was again arrested while driving on a revoked driver’s license in February 2013. A few days later, he was arrested again on 2 counts of driving on a suspended driver’s license, which was a felony.